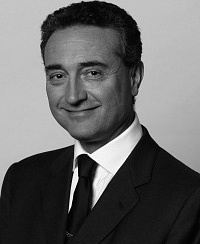 Luca Cordaro is Head of the Department of Periodontology and Prosthodontics at the Eastman Dental Hospital in Rome. He completed his studies in Italy and holds MD, DDS, PhD degrees as well as a post-doctoral degree in oral surgery. Deeply involved in clinical practice and clinical research, he has expertise in both the surgical and prosthetic phases of implant treatment. He is the author of several papers, books and book chapters, including a volume of the ITI Treatment Guide series. He sits on the board of the ITI and the EAO and lectures extensively around the world.